OKLAHOMA CITY (AP) – A federal appeals court has upheld the convictions and 40-year prison sentence of a former Oklahoma missionary convicted of sexually abusing children at an orphanage in Kenya. The 10th U.S. Circuit Court of Appeals Wednesday handed down the decision to 24-year-old Matthew Durham, who was found guilty in 2015 of four counts of engaging in illicit sexual conduct in foreign places. The same jury cleared Durham of accusations he planned to abuse the children before leaving the United States. 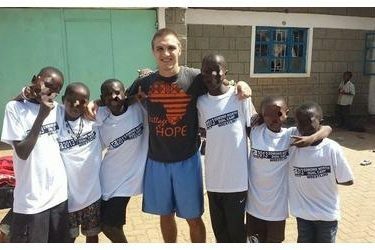 Federal prosecutors alleged Durham targeted orphans while volunteering at the Upendo Children’s Home in Nairobi between April and June 2014. Durham had served as a volunteer since 2012 at the orphanage, which specializes in caring for neglected children. Among other things, Durham claimed that his sentence is unreasonable.